12th Fair of Renewable Sources of Energy ENEX - New Energy were held between 18-20 March, 2014 in Congress and Exhibition Centre of Kielce Trade Fairs, Poland . 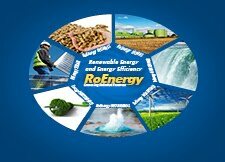 Last year 200 exhibitors put on display the cutting-edge equipment used in ecology and renewable energy sources. Over 6,500 visitors attended the exhibitions. - devices and technological lines for peletes production.